للمسافرين الذين يرغبون أن يعيشو كل ما تقدمه سيدني, Bellagio by The Sea Apartments هو الخيار الأمثل. يقع مركز المدينة على بعد 23 km فقط. ويمكن الوصول إلى المطار خلال 37 دقيقة. يوفر الفندق بفضل موقعة الجيد وصولاً سهلاً إلى أهم معالم المدينة.
. استمتع بالخدمات الراقية والضيافة التي لا مثيل لها بهذا الفندق في سيدني. يمكن الاستمتاع بمجموعة من الخدمات على أعلى المستويات في الفندق كمثل تسجيل وصول/خروج سريع, تخزين الأمتعة, واي فاي في المناطق العامة, صف السيارات, التوصيل من وإلى المطار. تنعكس أجواء Bellagio by The Sea Apartments في غرف الضيوف.تلفزيون بشاشة مسطحة, غرف لغير المدخنين, مكيف هواء, مكتب, ميني بار هي بعض الميزات الموجود في العديد من الغرف. يقدم الفندق العديد من الفرص للاستجمام كمثل حوض استحمام ساخن, مركز للياقة البدنية, ساونا, مسار جولف - ضمن 3 كم, حمام سباحة داخلي. يشكل Bellagio by The Sea Apartments بخدماته الراقية وموقعه الممتاز، قاعدة مثالية للاستمتاع بإقامتك في سيدني. يرجى العلم أن انتظار السيارات متاح في الموقع بقيمة 15 دولار أسترالي في الليلة، ويجب القيام بحجز مُسبق. إذا أردت الحجز، يرجى الاتصال بالعقار مباشرةً عبر بيانات الاتصال الموضحة في تأكيد الحجز. يُرجى ملاحظة أن الشقق يتم تنظيفها مرة واحدة في الأسبوع. ويمكن توفير خدمة تنظيف إضافية نظير رسم إضافي. Spacious and clean serviced apartment. Opposite to the beach and Colloroy surfing club . 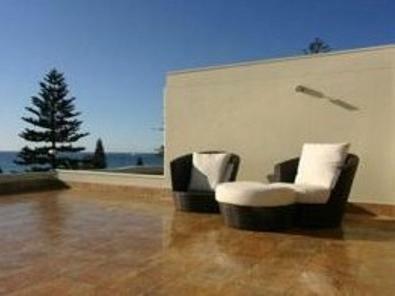 Walking distance to supermarket IGA and restaurants such as The Beach Club Collaroy. But reception is at the entrance of basement carpark and intercom was not working. Park car on roadside only. The apartment was undergoing renovations and was quite dirty, it would have been nice to be informed of the renovations at time of booking. The walls were all marked and the blinds were dirty. The outside verandahs were extremely dirty and dusty. Overall the apartment needed a good make over and was looking very old and tired. The location was good for what we were doing in Sydney however the lack of cleanliness made this an overall very disappointing experience. Yes I would recommend to a friend. Nothing really bad about the apartment, close to everything I needed. Loved it! 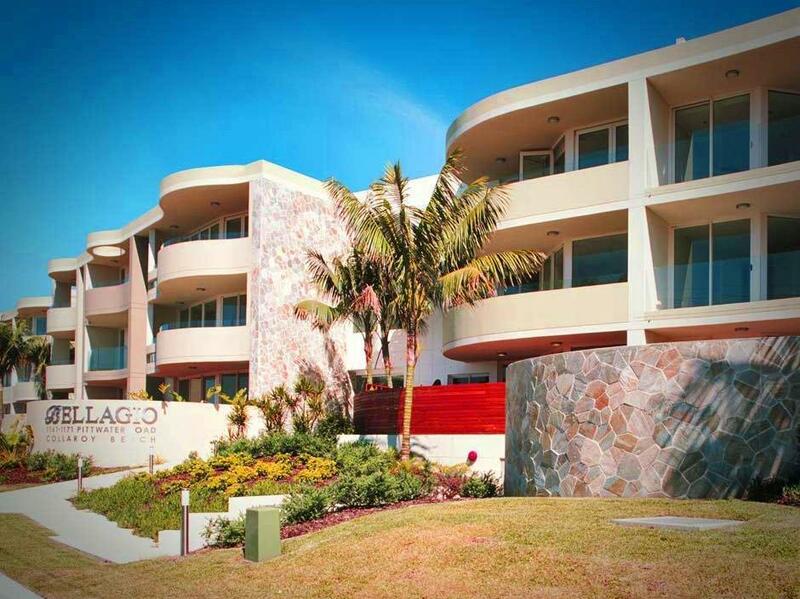 We want to move back and would defininately consider buying or renting a 2 bed apartment at Bellagio. Lived in central coast for 19 years and this cemented the fact we will return. Thank you ! Someone had been smoking in appartment prior to us checking in. Windows open to air out air conditioning on full blast. Showers need more attention in cleaning. Bed frame had come apart. Mentioned to reception. A bit of a pity some of the outdoor areas were locked off for renovations, but a really spacious room with great facilities. Being across the road from the beach makes it even more attractive. Some nice restaurants a few minutes down the road, don't miss the Collaroy Pub on the opposite side of the road. 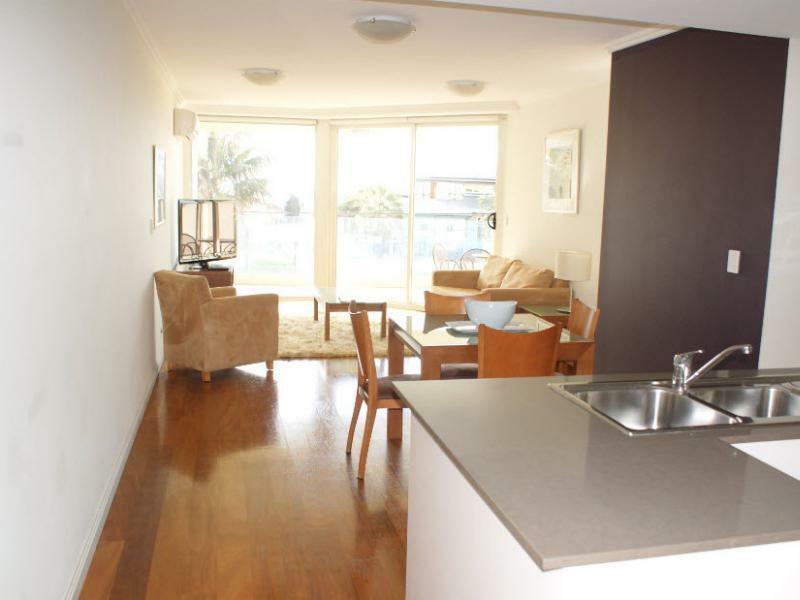 Spacious, clean apartment opposite the beach and close to all amenities. I would recommend calling them when outside the building prior to check in as reception will not respond if you press the buzzer. There is air conditioning in the main living area but not in the bedroom and may get a little warm, although they do supply you with a fan. Parking is available under the building in the visitors section, which is a bit tight and may be lucky to find one during busy periods. 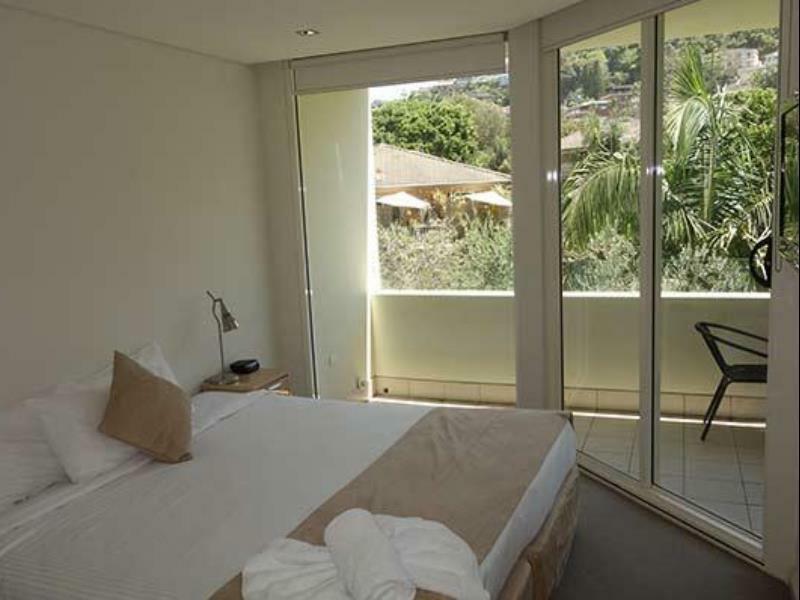 I would most definitely recommend these apartments for short or long stays. The staff are also quite nice and attentive.